EASTON, Md. 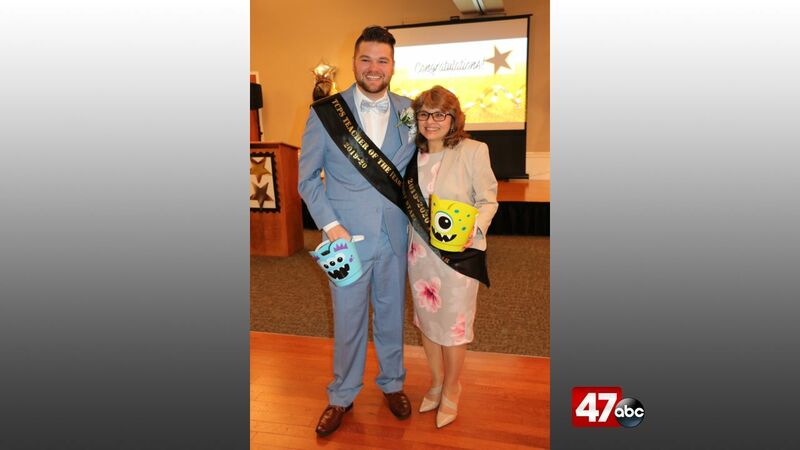 – Talbot County Public Schools announced their 2019-2020 Teacher of the Year and Support Staff Member of the Year at an event on Thursday. Kevin Carroll was named the 2019-2020 Talbot Teacher of the Year. Carroll is a Special Education Self-Contained/Functional Living Skills teacher at Easton High School. He earned a Bachelor of Science in Special Education K-12 from Grand Canyon University and a Master of Arts in English (TESOL) in 2018. Carroll began working with Talbot County Public Schools (TCPS) in 2008 and is responsible for conducting Individual Education Plan (IEP) meetings and educational testing for students as well as Maryland State Alternative Testing for Special Ed and ELL. He also plans and delivers Equity/CARE Professional Development for EHS staff, serves as the Department Chair for Special Education and serves as a Special Education Transition Coach. In addition to these duties, he is the TCPS Night School Manager for the Drop-out Prevention and Re-engagement program. Carroll also serves in numerous leadership roles to support all students, including Easton High ELL Student Advocate/Mentor and Mentor to new Special Education Teachers. Sindy Reyes was named the 2019-2020 Support Staff of the Year. Reyes is an English as a Second Language Instructional Assistant at Easton Elementary- Dobson, where she provides English language support services for kindergarten and newcomer students. She also helps with enrollment, parent-teacher conferences, Individualized Education Plan (IEP) meetings, and special events. Reyes has a degree in Elementary Education from Colegio Ana Geurra de Jesus, El Salvador, and a Bachelor of Arts in English from the University of El Salvador, along with an Associate of Arts Degree from Chesapeake College. She began working for Talbot County Public Schools in 2001, and also works as a tutor at the Easton High Night School and an Equity Team members at EES Dobson.